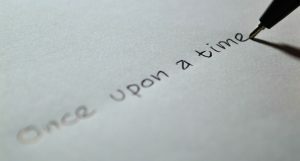 Wondering why we should share fantasy stories and fairy tales with children? They aren’t politically correct; boys and girls are not recognized equally. But they still have an important place in the lives of kids. Mrs. A: Are fairies only for girls? Bobbie Hinman: Absolutely not! Fairies can be girls or boys, old or young, tall or short. In my books, the Knot Fairy and Freckle Fairy are girls, the Fart Fairy and Sock Fairy are boys and the Belly Button Fairy is a grandmother. Mrs. A: Are fairies real? 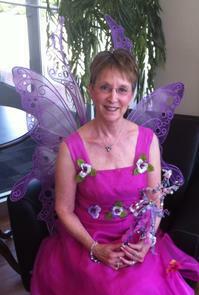 Bobbie Hinman: My totally unscientific research tells me that yes, fairies are real. They are thought to live in gardens and small hills in the ground. Mostly they live in your heart and your imagination. Mrs. A: Why should parents and caregivers include fantasy books and stories? 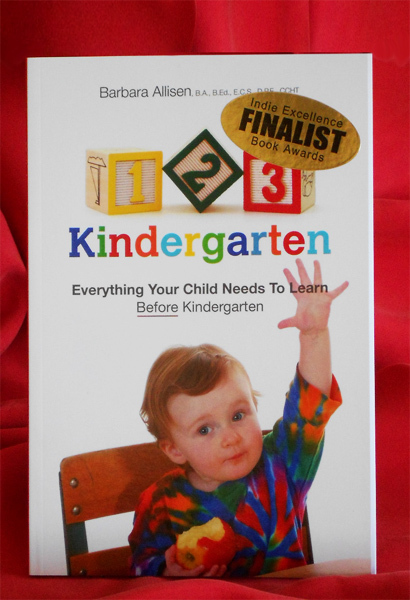 Bobbie Hinman: Childhood is a time of innocence and imagination. Just like playing dress-up, fantasy books allow children to be creative and imaginative and “live” in the world of their characters. It’s fun to believe in make-believe. Mrs. A: How do fairies like to play? 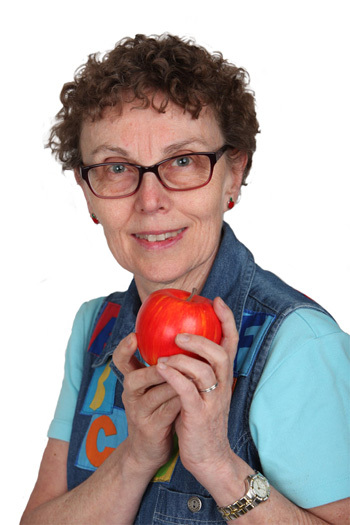 Bobbie Hinman: Fairies are playful and mischievous. They like to hide your belongings, tangle your hair while you sleep and give kisses that turn into freckles. When anything goes wrong, my premise is simple: Who better to blame it on than a fairy? You don’t need a magic wand for play ideas. 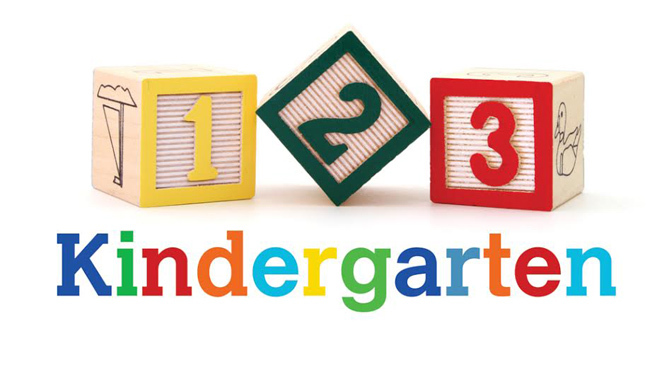 Come play on the 123kindergarten blog. It’s time to play and celebrate International Fairy Day. At summer solstic, the boundary between the fantasy world and the real world is blurred. Whether you see them as small winged tenders of the deep natural places of the earth, or as tall stately figures with fair skin and hair, there’s one thing for certain. The world has been absolutely captured by the Fairy Craze. These creatures appear on everything from mugs to t-shirts and have been the subject of children’s fairy tales and even supernatural romances. 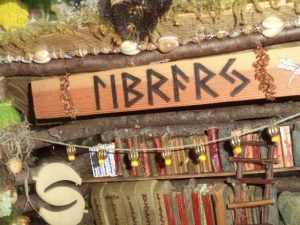 Fairy Day celebrates these incredible mythological creatures that have captured the imagination of people everywhere and their diverse history. We spent some time roaming the forest and gardens, nurturing our senses and renewing our spirits. Seeing certainly topped the list as we looked for fairy houses, tucked in with the flowers and trees, marveling at all the tiny details, but there was still more. 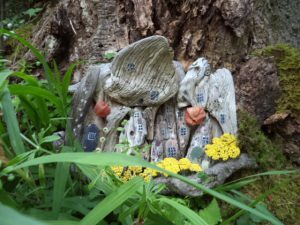 We could hear the soft forest sounds of birds and insects, the excited cries of kids as they found more fairy houses, and the gurgles of water here and there. The cool shade refreshed our skin from the hot touch of the sun. The flowers, grass, and trees perfumed the air to delight the sense of smell. Later on, we tasted fairy cupcakes and cold lemonade. Not at the fairy restaurant though, a people one. Are there any fairy events happening in your area? You can also create your own. 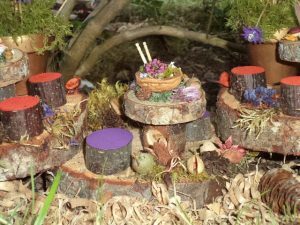 Practically any large outdoor-friendly container will do to make a fairy garden. There are gazillions of books to read and local libraries may even have a fairy tale time. We often forget we can also just tell some fairy stories. Sing fairy songs, dance around in the yard, have a paper towel roll sword fight. Dress up in a towel to make a magic power cape. 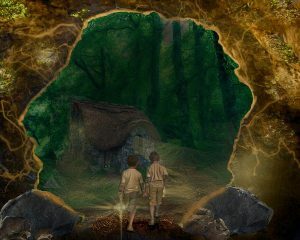 For children, the boundary between the fantasy world and the real one is much less distinct than it is for adults. All too soon, the magic seems to disappear. What might you and your kids do to play and celebrate International Fairy Day? 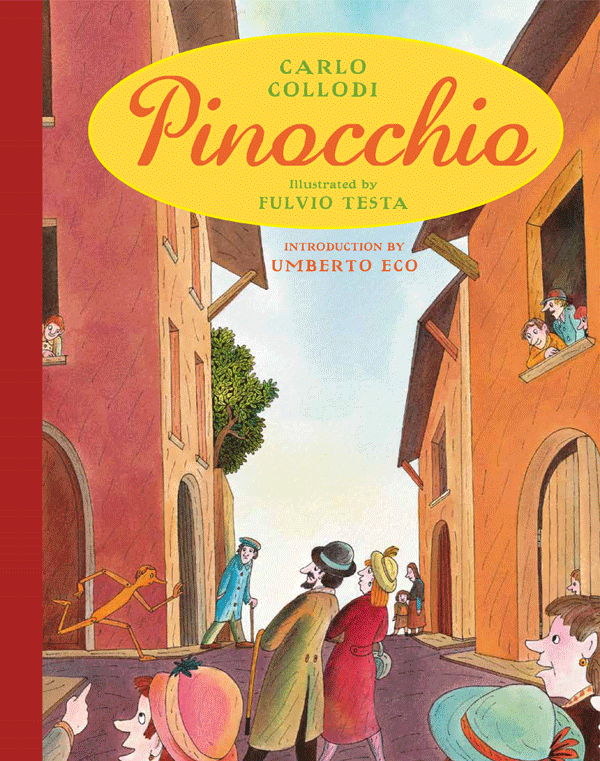 Pinocchio is not just a puppet, he is a character with a dream. 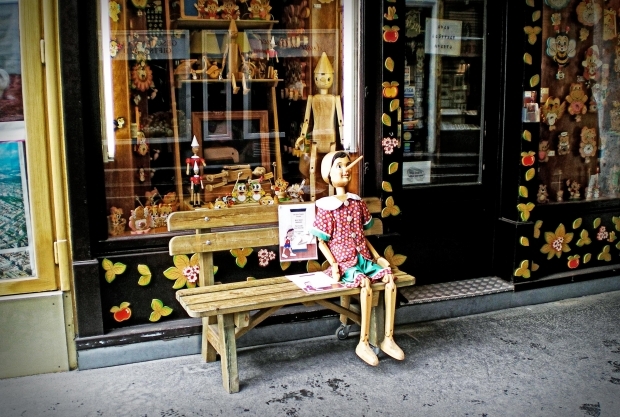 Even though he’s made of wood, he shares many characteristics with kids and adults too. 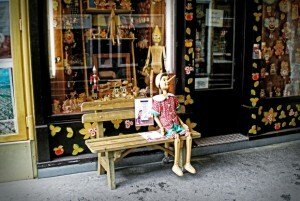 Gepetto, a wood carver, creates a boy puppet. He loves Pinocchio very much but Pinocchio, like real children, doesn’t like to be controlled by others and yet is sometimes easy to manipulate. He makes mistakes, goes to school, and has adventures, both good and bad. When under stress, he tells lies and his nose grows longer and longer. Pinocchio learns along the way and, aided by the Fairy with Blue Hair, becomes real. 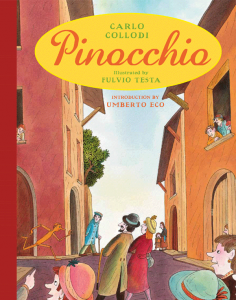 The story of Pinocchio has been translated into more than 240 languages. Most of us are familiar with the Disney version, but there are other versions based on the original. This translation, by Geoffrey Brock, has more than fifty gorgeous watercolor illustrations of Fulvio Testa. You can read or tell the story to your child and maybe use a puppet to help. Imaginary and pretend play is an important activity for kids. You and your child can make puppets out of socks, paper bags, wooden spools, popsicle sticks, styrofoam take-out containers, and fingers and hands. The video below has some easy instructions for little puppets. While the puppets have adventures, kids talk, interact with others, solve problems, move their bodies, explore emotions, make brain connections, and more. You can see the imagination at work play in this version of Jack and the Beanstalk. At your house today, can the puppets come out for some play?